Issues relating to employment and labour have once again come to the fore of global policy debates in the wake of the widespread unemployment that has accompanied the current financial crisis. In the developing world, there is a growing realization that productive employment promotion and social protection have to be at the core of inclusive growth and development. 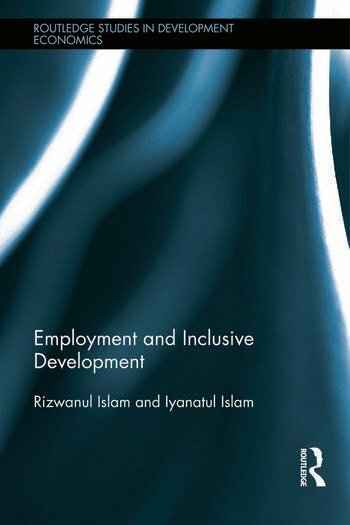 This book supports the view that employment is a cross-cutting issue shaped by macroeconomic and microeconomic policy interventions, and provides a capacious framework to analyse the complexity of this global debate. It covers a wide range of issues that have received insufficient attention in the discourse of development and labour economics. These include the impact of macroeconomic policies on employment, labour rights, the development of human capabilities and employability, youth employment, the benefits and costs of labour market flexibility, and the importance of social protection for all. This important book aims at filling this gap by revisiting old debates and reconnecting them to the contemporary context, combining analyses with relevant empirical evidence. It will appeal to a diverse readership of academic institutions and think-tanks, international organizations, bilateral donors working on development issues and policy-makers in developing countries. Rizwanul Islam is former Special Adviser, Employment Sector, ILO, Geneva, Switzerland. Iyanatul Islam is currently Chief, Employment and Labour Market Policies Branch, ILO, Geneva, Switzerland.